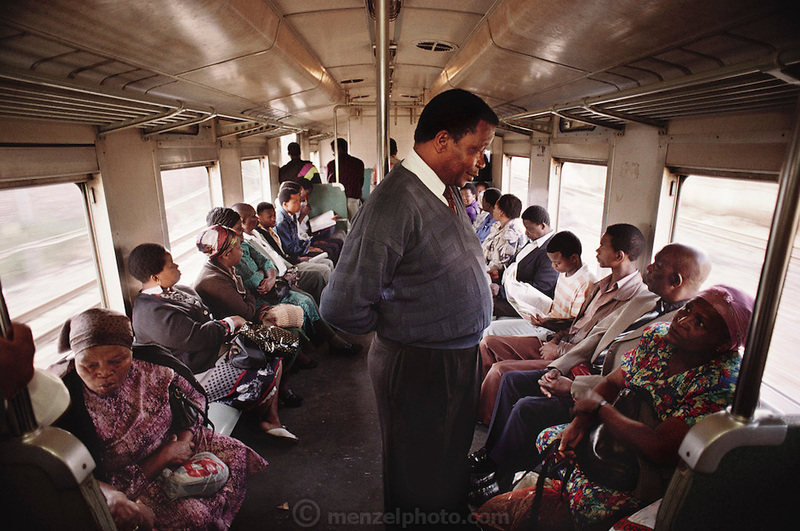 Getting to work is a scary daily business for Simon and Poppy Qampie, because the train that picks them up at the Phomolong station in Soweto, South Africa, is often boarded by machete and gun wielding thugs. The Qampie family lives in a 400 square foot concrete block duplex house in the sprawling area of Southwest Township (called Soweto), outside Johannesburg (Joberg) South Africa. Material World Project.